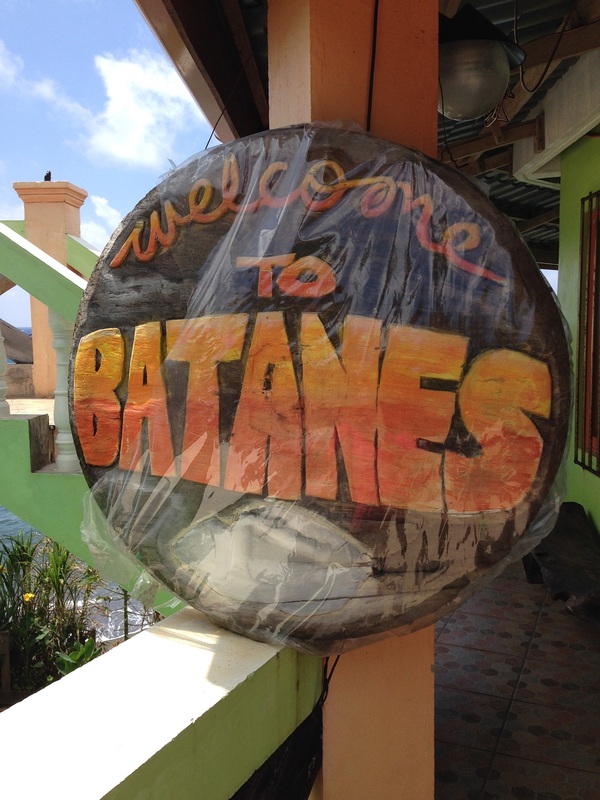 Our tour of the northern section of Batan Island started with a lunch at a nearby restaurant. The tour van brought us to Octagon Bed and Dine Lodge which is just a few meters from where we’re staying (Marfel’s Lodge – Annex). 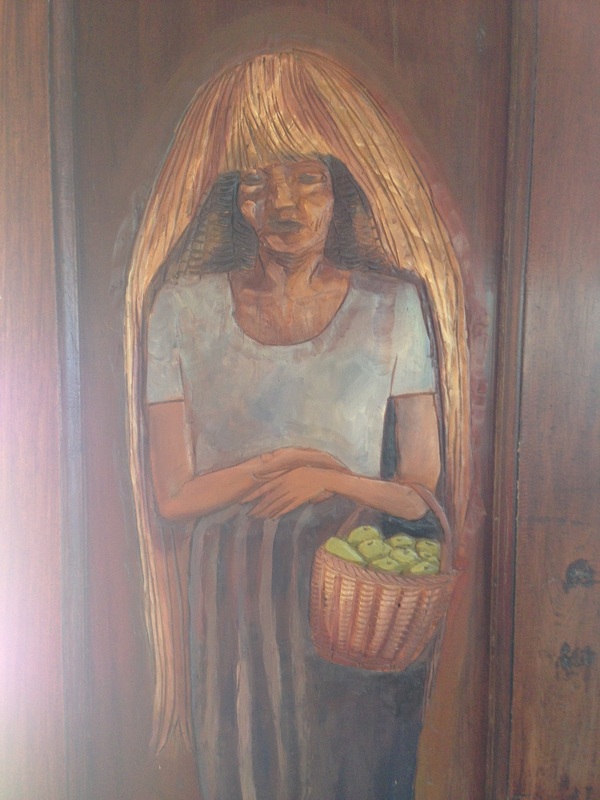 The restaurant is an eight-sided hall adorned with wood carvings, some depicting the Ivatan way of life. 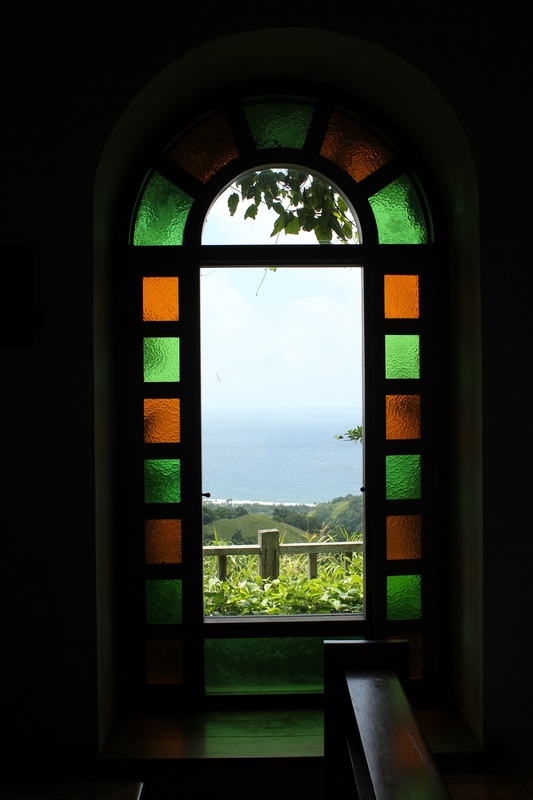 The restaurant has a viewing deck which offers a great view of the Basco Jetty, the lighthouse at Naidi Hills, and the town proper. 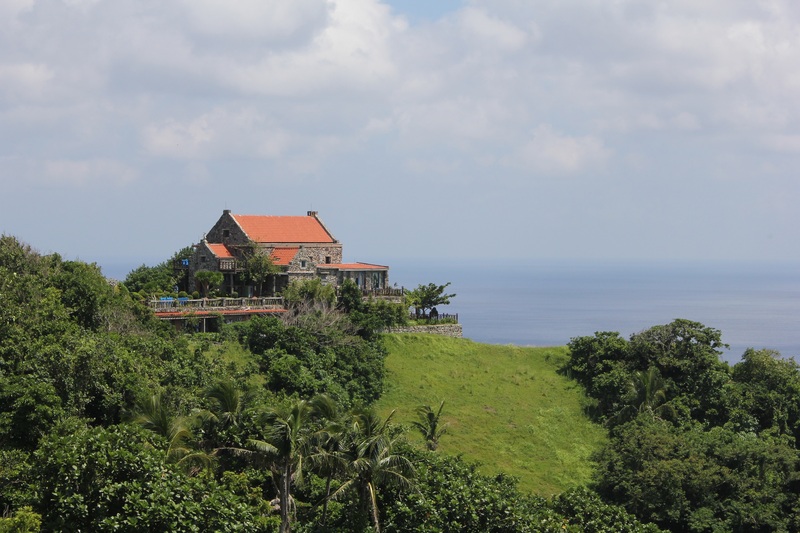 It also offers a perfect view of the the Batanes sunset. Octagon Restaurant serve popular Filipino dishes. It is open to serve breakfast and dinner as well. After lunch, we continued off with the tour. 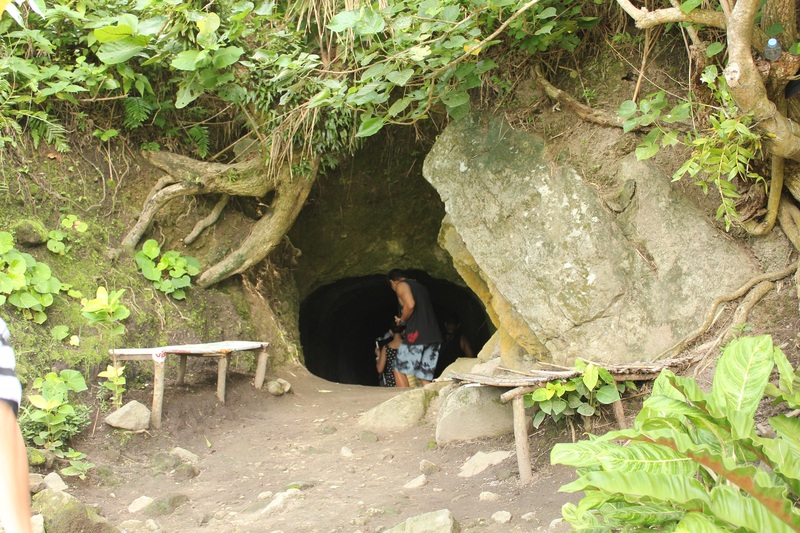 The pictures below capture some of the spots included in the North Batan Tour. The lodge was fully occupied that time. Non-guests were not allowed to enter Fundacion Pacita. We just content ourselves with a photo of the lodge from afar. We then went off to the Japanese Tunnel. It has an awesome view of Mt. Iraya and the Basco air strip. Eastward, the van took us to a wonderful beach in Valugan. 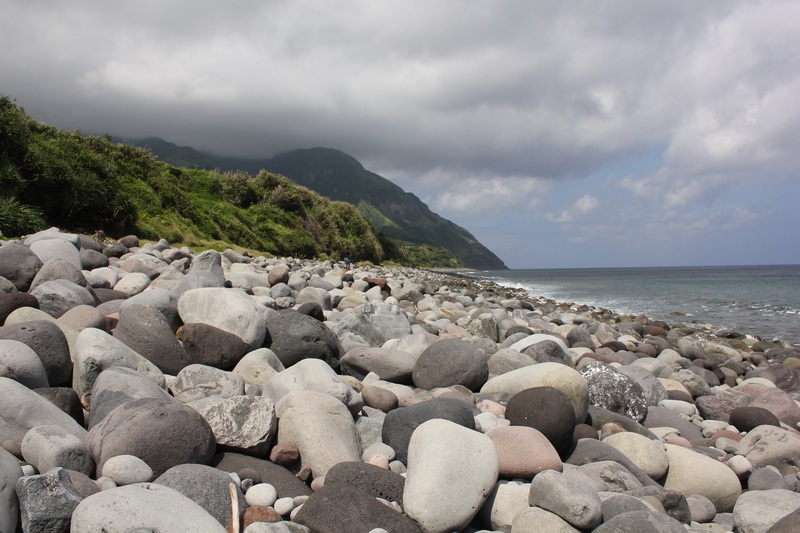 Far different from other beaches, Valugan Boulder Beach is a bed of big smooth rocks which came from Mt. Iraya during one of its eruptions, several hundreds of years ago. 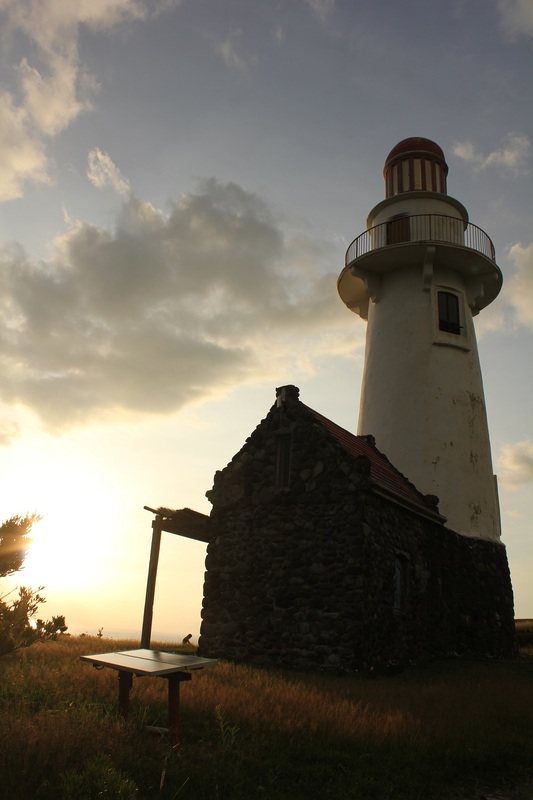 This is one of the best spots to capture the sunrise in Batanes. 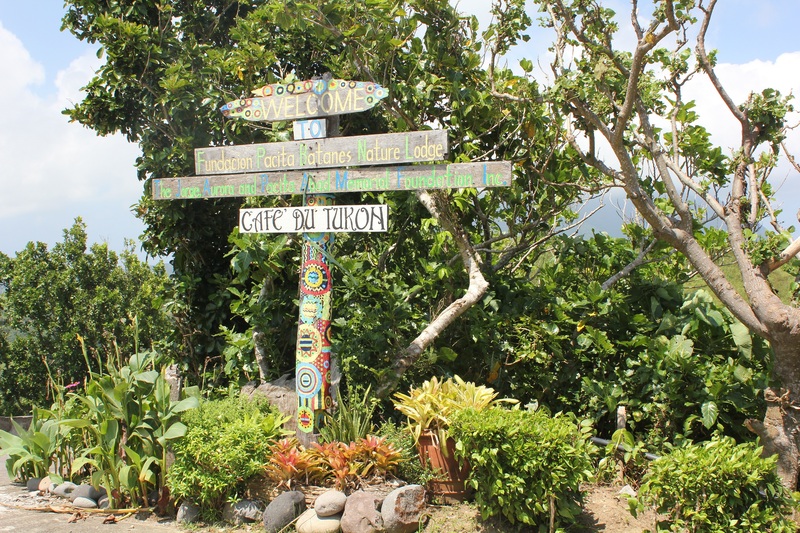 From Valugan, we headed back to Basco town proper. We passed by the Basco Cathedral. 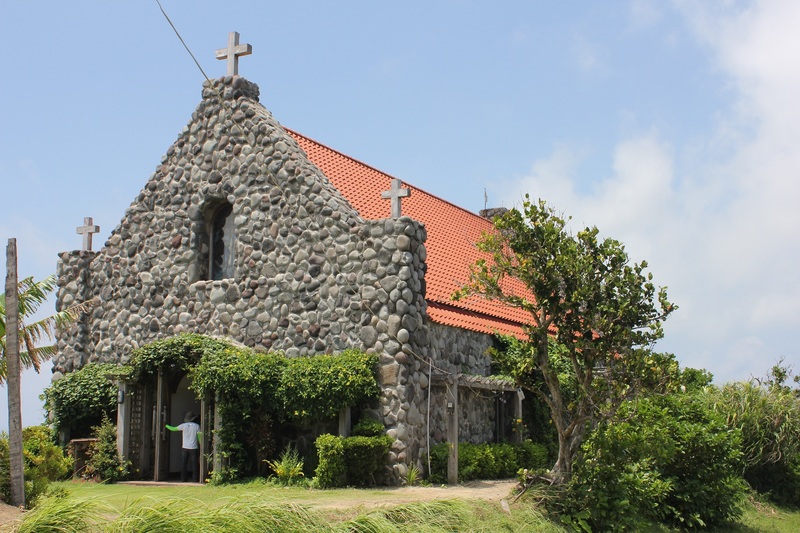 Basco Cathedral is also known as the Sto. 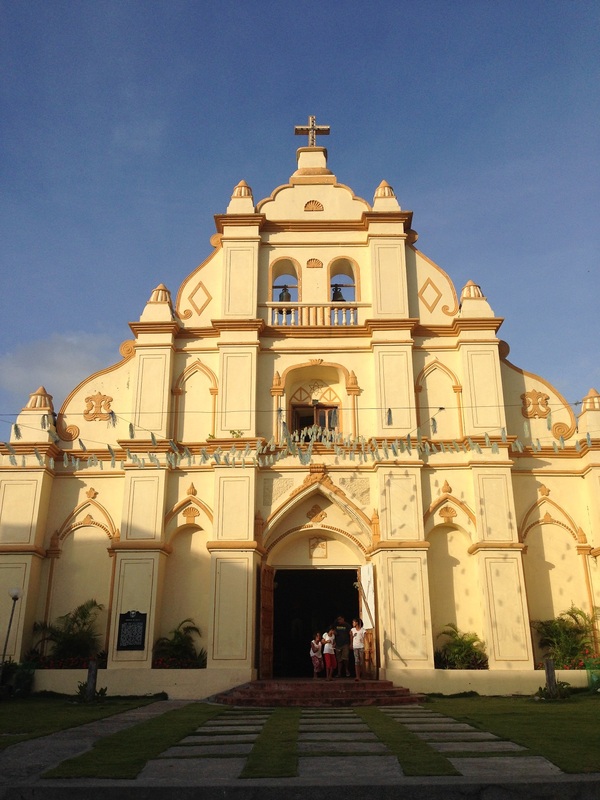 Domingo Church or the Cathedral of the Immaculate Conception. 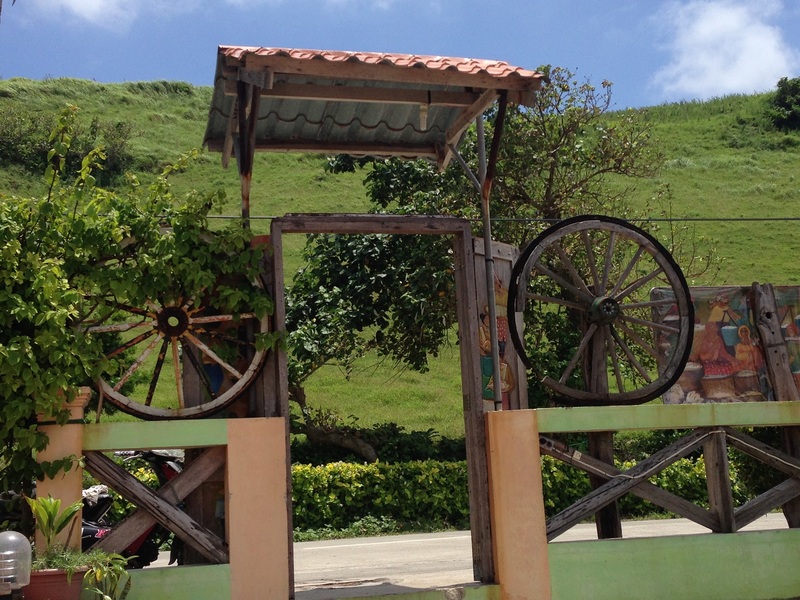 The Basco town fiesta is celebrated every August 8 in honor of Sto. Domingo de Guzman. The highlight of the fiesta is the cultural presentation and the Palu-palo Festival. 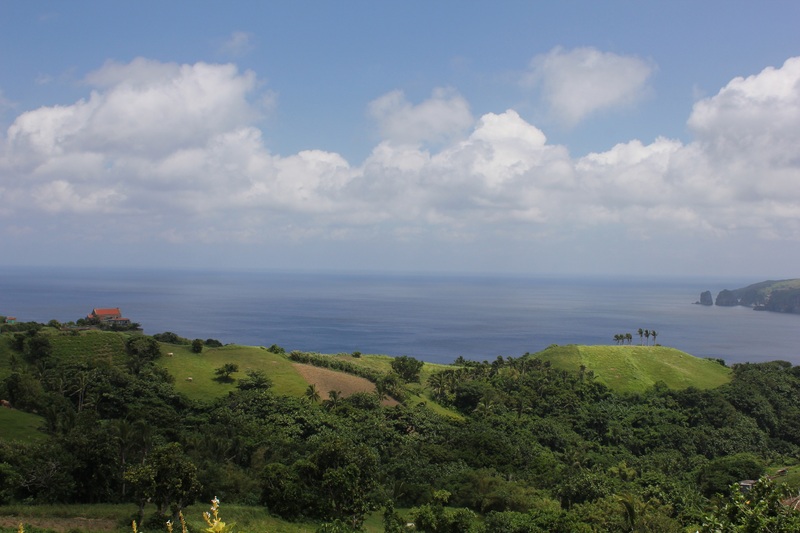 A few kilometers from the town proper is the Vayang Ranch. 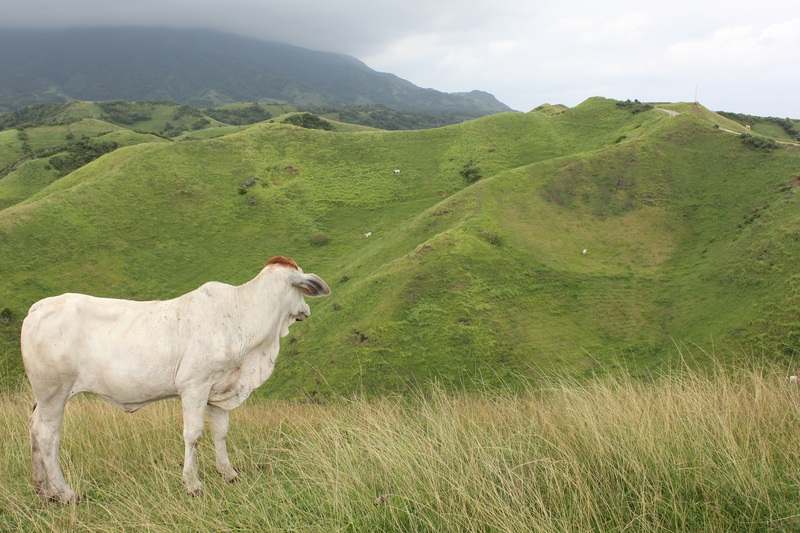 It is a stretch of green rolling hills, a pasture land at the foot of Mt. Iraya. Near the lighthouse are several ruined structures built during the American period. The structures were telegraph facilities before. Some are converted into dining places,the nearest of these to the lighthouse is Bunker’s Cafe which is open during peak season only. 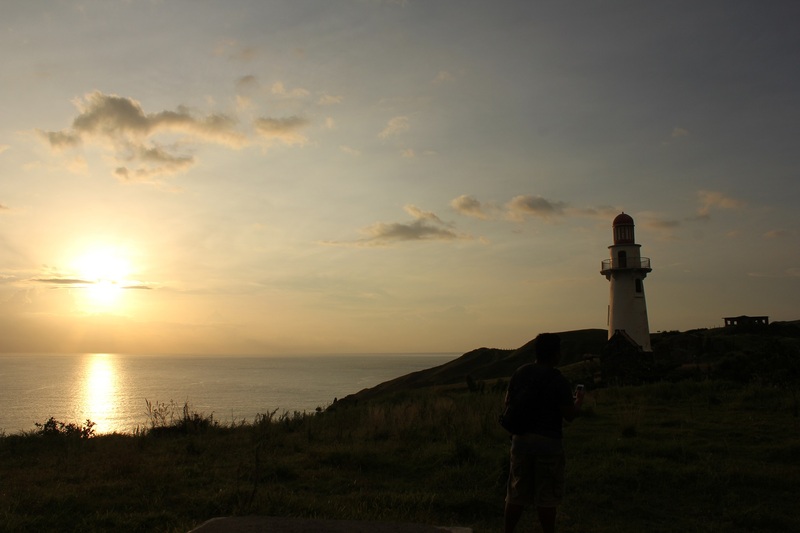 Naidi Hills offer a spectacular view of the sunset in Basco. 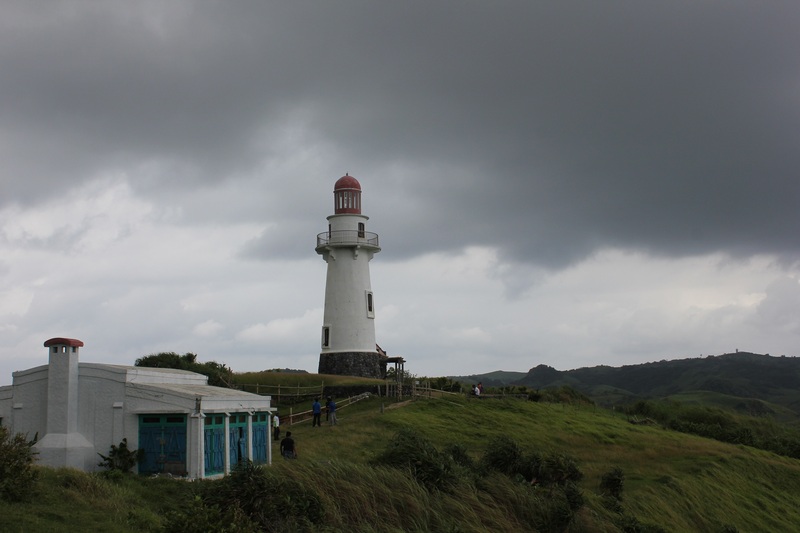 The light house itself is the most photographed among all the spots in Batanes. Naidi Hills can be reached by bike or foot as it is only a little more than 1 kilometer from the town proper. 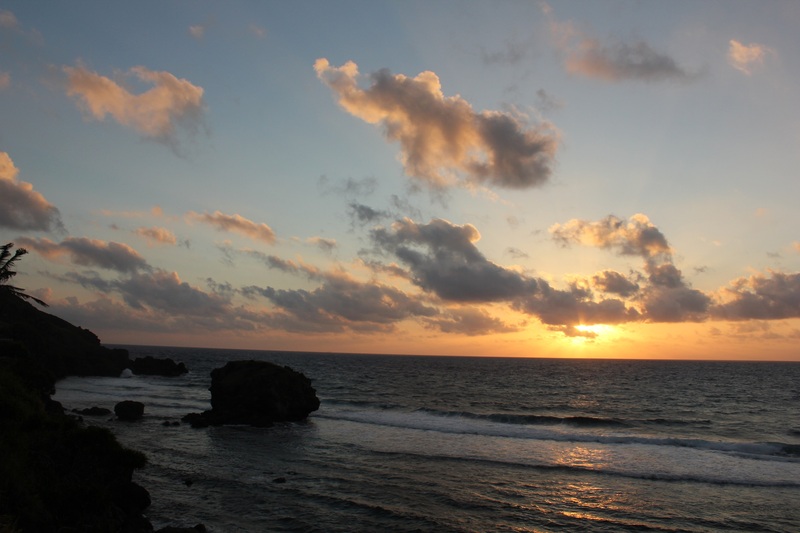 The sunset at Naidi Hills is a perfect way to end the North Batan Tour.